Five time Olivier Award-nominated actress, Ruthie Henshall, will be returning to the West End to join the cast of Billy Elliot The Musical at the Victoria Palace. 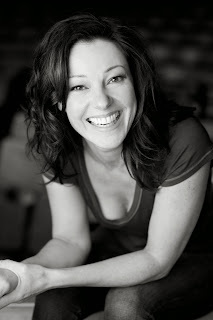 Henshall will take over from Anna-Jane Casey to play the role of Billy’s dance teacher, Mrs Wilkinson. Her first performance will take place on 12th May, the show’s 9th birthday at the Victoria Palace. She will be joined by Chris Grahamson and Barnaby Meredith in the roles of Billy’s brother Tony and Older Billy respectively. Henshall’s extensive career has seen her play some of theatre’s most iconic leading ladies including both Velma Kelly and Roxie Hart in Chicago, Fantine in Les Misérables and Ellen in Miss Saigon. She has received five Best Actress nominations for the prestigious Olivier Awards, winning once for her role as Amalia in She Loves Me. Billy Elliot The Musical is based on the Oscar nominated film about a young boy following his dreams of dancing during the miner’s strike in the North East of England. The hit musical features music by Sir Elton John with lyrics by Lee Hall. Billy Elliot theatre tickets (special offer: top price tkts now £42.50) and hotel packages are now available to book.